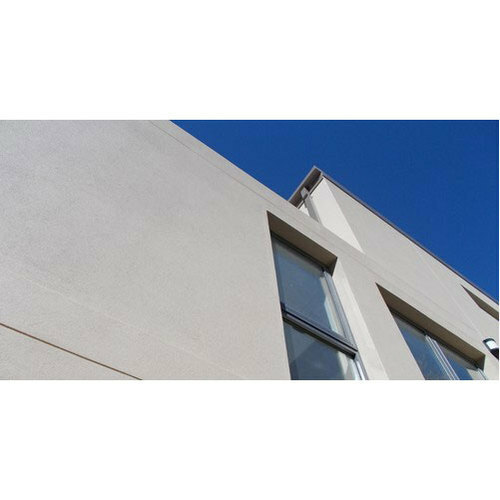 FAIRCOAT SCREED is a textured protective, decorative anti-carbonation screed for interior and exterior surfaces with exceptional weathering characteristics conforming to IS 15489 : 2004. USES FAIRCOAT SCREED is used to provide a textured decorative durable coating for concrete and masonry surfaces. One coat application is recommended with a thickness of 1.5 to 2 mm. Specially formulated for Exterior & Interior Decorative and Protective coating. DESCRIPTION FAIRCOAT SCREED is ready to use acryllic based screed containing special polymers and fillers. FAIRCOAT SCREED provides extremely tough protective decorative screed that allows surface to breathe. We, “Farben Enterprises” are Manufacturer of Decorative Wall Coating, Epoxy Based Coating, and many more.